I am thrilled to be able to give back to a community that has given me so much and helped shaped me into the person I am today. And I am so happy to have finally realized my dream to work alongside my father, Dr. Ronald Clark, in this practice! I chose to pursue a career in oral healthcare after witnessing the personal satisfaction my father found in his practice and getting involved in volunteering in dentistry on my own. Growing up, I was able to see how many lives he touched and the relationships he built while creating beautiful smiles. I like working closely with people, getting to know each on a personal level, and having a meaningful and positive impact on their lives. I graduated from Haddonfield Memorial High School and received my Bachelor degree at Dartmouth College in Hanover, NH. I then obtained my Doctorate of Dental Surgery from the University of Maryland School of Dentistry, in Baltimore, MD, after which I completed a post-doctorate residency in General Practice at Virtua Hospital in Camden, NJ. I’m also an active participant in many study clubs. 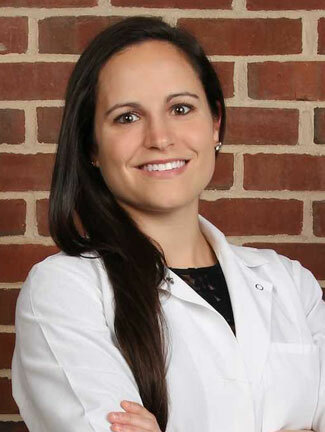 Currently, I am training in Orthodontics at the Kornberg School of Dentistry at Temple University in Philadelphia, PA. As a full-time resident, I only get to be in the office on weeknights and weekends, but I look forward to getting to know all of the patients, and I can't wait to be in the practice full-time! It is essential to learn and grow as a practitioner in order to provide the best care for patients. I am as committed as my father to delivering leading-edge, advanced care that improves lives, and I am hard at work to learn not only from my father, but from some of the leading minds in our profession. At Clark Orthodontics, patients receive the perfect combination of experience and innovation. With my father having more than 30 years of experience under his belt and me being new to the team, patients receive the best care! As a family practice, our goal is to treat each patient like a member of our family. We genuinely care about them as a person and are glad to be able to help them. I grew up in Haddonfield and recently moved back after being away for college and dental school. I plan on staying for the long haul! I’m the oldest of five children and close to my siblings. It’s good to be able to spend more time with them. While work takes up much of my time, I try to make room for relaxing with my family down at the shore. I also enjoy traveling and experiencing new people, places, and cultures – not to mention new foods!